That’s right! Its time for some more shiny new kit! This week we saw the return of some sought after accessories alongside a restock of classic and somewhat unknown sidearm! One product that has been highly anticipated is the new Nuprol EU Light Bearing Holster systems! 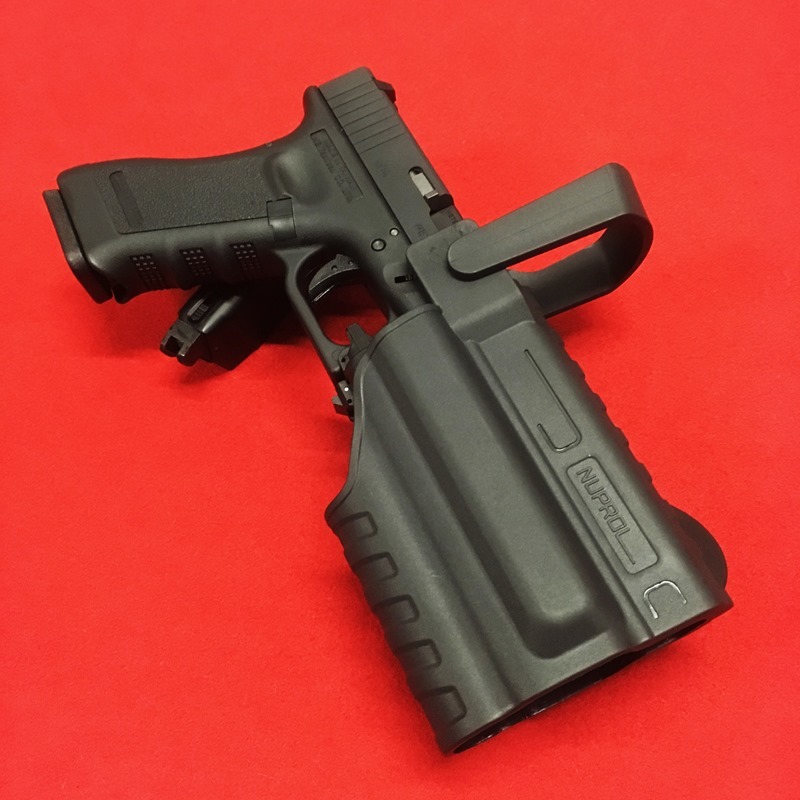 These hard plastic molded retention holsters are made to accommodate a variety of EU Series GBB pistols with Flashlights attached! Comes with a choice of two locking hoods, the factory fitted is designed to fit the more compact EU19/23 models, whereas the longer hood will fit over the full size EU17/18 Pistols. To use simply lock the hood upright and to release simply push the button on the side and draw. 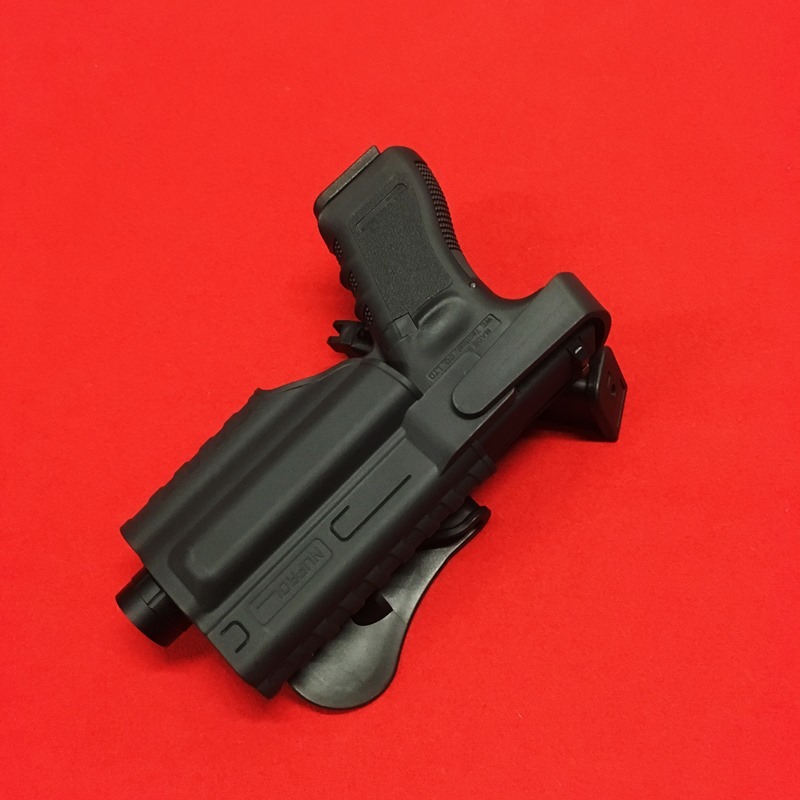 Mounted on the standard Nuprol paddle/belt mount, like the other Nuprol pistol holsters this holster can be swapped out onto a MOLLE adapter, a drop leg platform and even a shoulder holster system. Back once again is the fantastic Pistol Tracer unit from Acetech! 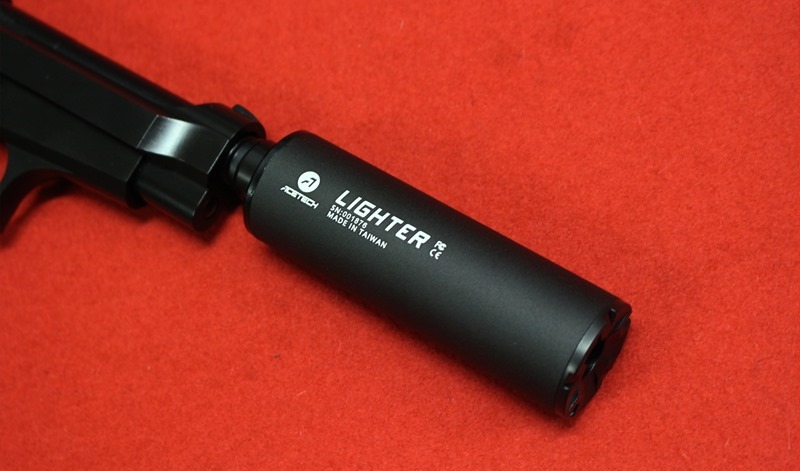 One of the smallest, lightest and power saving tracer units on the airsoft market to date! Its small size allows users to easily attach it to their airsoft sidearms thanks to the 12mm Pistol thread adapter, however it can also be attached to most Rifles too as the unit itself has a 14mm CCW thread. With only a 30mm Diameter and a length of 101mm, this is one seriously small tracer unit. Suitable with both green and red tracer BBs, the unit runs off of a built in 450mAH rechargeable LiPo battery, which is charged via a micro-USB Charging cable which comes with it. If you’re thinking about mounting a tracer unit onto your sidearm then look no further! 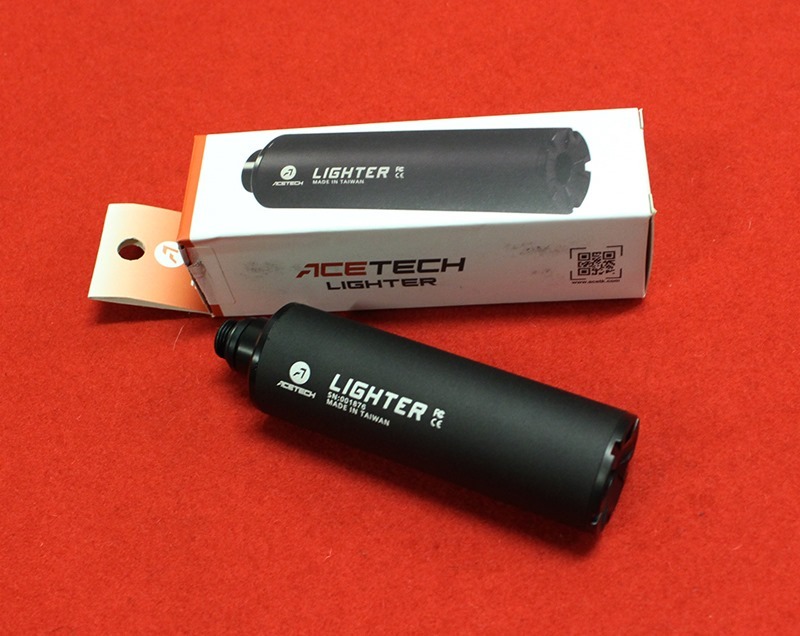 The Acetech is by far one of the brightest and most compact tracer units available! 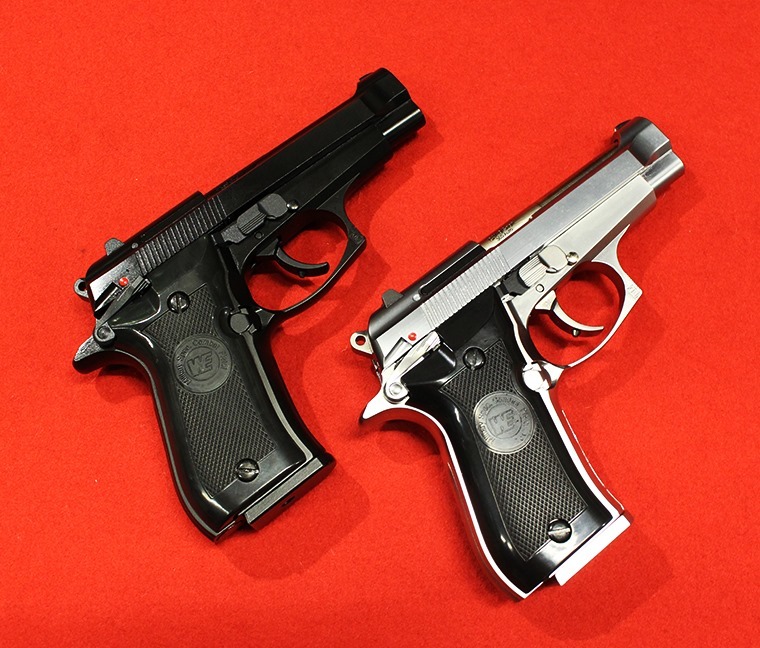 To round things off we’ve also had a restock of a fantastic but not well known compact pistol! the WE M84! A fantastic replica of the Real Steel Beretta M84 Handgun, this full metal gas powered replica from WE is perfect for those of you who are looking for a concealable backup pistol. Due to its compact size this is a relatively lightweight pistol which sits great in the hand, with similar controls as its bigger brother, the Beretta M92. 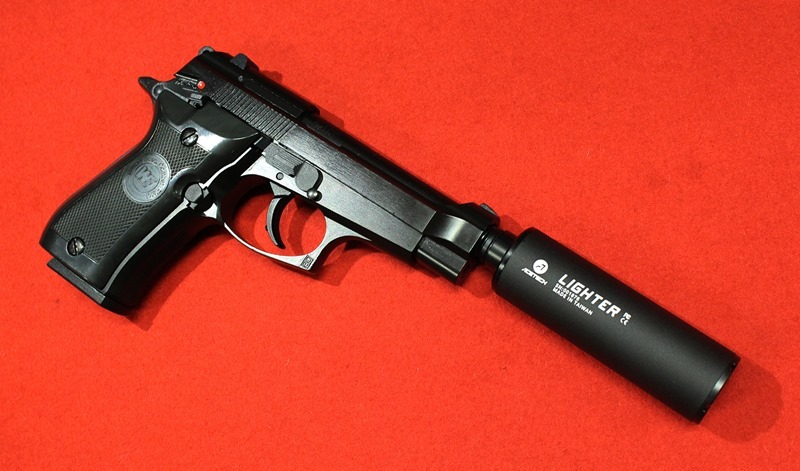 The Name Cheetah comes from the fact that when running off of Standard green gas this pistol is incredibly snappy! Perfect for those of you who want to take the fight to the enemy and unleash a hail of plastic!